After Kingston ran away with the OHL’s East Division last year (97 points and more than 20 points clear of second place) fans are likely going to see a much tighter race this season. Kingston loses a pile of its top scorers, while the rest of the teams in the east are seeing a lot of young, talented players mature and will be eager to improve on mediocre 2015/16 campaigns, while challenging the Fronts at the same time. WHAT WE KNOW: The Frontenacs won’t have to deal with worrying about the “playoff curse” from the get-go, as they were able to shake that last year, by dispatching the Oshawa Generals 4-1 and getting out of the first round for the first round in a long time (even if they were swept in round two). We also know that Jeremy Helvig will likely take over from the workhorse Lucas Peressini, who ages out, also paving the way for a new number two in the Limestone City goal. The biggest thing we know is that the Fronts will be missing an experienced core of scorers and will need to find somewhere to make up for all of those lost goals. WHAT WE DON’T KNOW: While we do know Jeremy Helvig will likely step in to replace Peressini, we don’t know exactly how well he’ll handle the workload. Unless the Fronts brass want to get youngsters Mario Peccia and Zach Moore seasoned through the year, Helvig should expect to play close to double the 27 games he played last season. A jump in workload like that can cause problems for any netminder who isn’t physically, or mentally ready for the challenge. PLAYERS TO WATCH: With most of the big guns gone, Lawson Crouse and Jason Robertson become the top returning scorers. The Fronts also added Sam Harding from the Oshawa Generals, which will give them some depth and experience. It will be fun to see how he settles into a new home, inside of the division. The Fronts also added a nice class of rookies including first round pick Nathan Dunkley, who had 47 points in 34 games with the Quinte Red Devils last season. WHO’S GONE: As is the similar case with the Barrie Colts, the Kingston Frontenacs have an all-star group to replace. Spencer Watson, Juho Lammikko, Michael Dal Colle, Roland McKeown and Warren Foegle all had more than 40 points last season, leaving a big hole to make up. Also, as mentioned before, Lucas Peressini is gone, opening the doors for Jeremy Helvig to take control in the crease. EXPECTATIONS: Kingston made massive strides last season but hit a brick wall in the Niagara Ice Dogs in round two. The team will likely be looking to improve on that performance, but it won’t be as easy as it was last season. There are too many questions around scoring depth and goaltending consistency, to guarantee a Fronts repeat atop the division. WHAT WE KNOW: After back-to-back second place finishes in the division, Jeff Brown’s club will be itching to take an east crown. The 67’s have settled back into their home at Lansdowne and are starting to find some consistency again, after a pair of fifth place finishes, which followed a three-peat of divisional titles. The 67’s have a good mix of youth and experience and at least one returning 50-point scorer to lead the charge. WHAT WE DON’T KNOW: We don’t know where the rest of the scoring will come from in Ottawa. Artur Tyanulin is the team’s highest scoring returning player, but the guys who scored more than him last season and aren’t on the roster anymore, put up almost 100 goals combined in 2015/16. Clearly more ground than Tyanulin will be able to make up himself. PLAYERS TO WATCH: Given his scoring touch Tyanulin will be one of the main guys to watch in the barber pole shirts this season. It will also be interesting to see how Austen Keating builds on his 30+ point rookie campaign in the Nation’s Capital. Leo Lazarev is also always entertaining in goal and will be fun to watch as well. WHO’S GONE: Top scorer Dante Salituro is gone, as are number two and four scorers from last season, Jeremiah Addison and Nathan Todd. Ottawa also starts the season without phenom Travis Konecny and Sam Studnicka, after they were moved to Sarnia last season. EXPECTATIONS: The expectations for Ottawa will be to improve on the second place divisional finish from the past two years. Into his third full season (second as GM), Jeff Brown is really putting his stamp on this team and has put together a hard-working group, that can give itself a chance to win on any night. WHAT WE KNOW: The Peterborough Petes have underachieved going back almost a decade, with the team not finishing higher than 3rd over that span. This year could be the one the Petes make another stride, but a lot will have to come together. Optimism isn’t as high in the LIftlock City as it’s been in past seasons, but that could just be based on how the team has been finishing of late. Those finishes aside, there’s an exciting young crop of players that will be wearing maroon and white this season. WHAT WE DON’T KNOW: Gm Mike Oke did an outstanding job at the 2016 Priority Selection using a bevy of picks to select a group of dynamic and exciting players. Not only are top picks Semyon Der-Arguchintsev and Pavel Gogoglev two of the top ranked players in the rookie class, they were also team mates at the Canadian International Hockey Academy, which has led to instant chemistry. While they were able to find some offensive success in the preseason, we really don’t know how they’ll be able to step in when things get going for real. PLAYERS TO WATCH: Those two young forwards will draw a lot of eyes in Peterborough this season, as will young blue-liner Declan Chisholm. But most fans will be watching the now veteran pair up front for the Petes, of former first rounder Jonathan Ang (FLA) andSteve Lorentz (CAR), who will likely be looked at as the go-to shooters. Dylan Wells is also going to carry the load in goal, with Matt Mancina being moved, so there will be a bright spotlight on him as well, as he takes on his first OHL season as a starter. WHO’S GONE: Emotional leader (and last year’s top scorer) Hunter Garlent tops the lists of players exiting Peterborough this season. Eric Cornel (BUF), Dominik Masin (TB) and Greg Betzold highlight the rest of the key subtractions. Daniel Nikandrov also aged out, after being brought in from Sarnia at last year’s deadline and fan favourite Cam Lizotte will start his first full season with the Colts in Barrie. EXPECTATIONS: The Petes (like most franchises) expect to improve every year, however they’ve had lots of trouble doing that. This year it’s going to take a group-effort from some young, skilled guys, to get the job done and there are still plenty of pundits questioning if they’ll be able to get that job done. If history is any indicator, the Petes will be in the middle-to-bottom of the division. WHAT WE KNOW: The Oshawa Generals had one heck of a Memorial Cup hangover last season, finishing eight in the conference, but flushed the system well heading into 2015/16. The returning core of players will have a bad taste from last season and will want to make a statement. They keep a returning, high-skill goaltender in the net as well, making the Gens a team to watch. WHAT WE DON’T KNOW: While the Generals do have a good returning core, including pretty well all of their top scorers, it will be interesting to see how much that group can improve on last season’s numbers. Anthony Cirelli is back and will need to improve on his 59 points from last year, in order to really make a difference. Joe Manchurek will need to be better as well, coming into an overage season and will need to showcase his leadership abilities to keep the team’s attitude in the right spot through 68 games. PLAYERS TO WATCH: As mentioned in the last section Anthony Cirelli will be looked at to provide the biggest offensive punch, but Mitchell Vande Sompel had an outstanding offensive preseason from the blue line and will add some depth there. Add Nik Antropov’s son Daniil into the mix, along with an improving young defense core and there will be plenty worth watching at the GM Centre this season. Also Jeremy Brodeur continues to get better and is always fun to watch. WHO’S GONE: Oshawa unloaded during last season, so the big guns like Michal Dal Colle, Matt Mistele, Jacob Graves and Stephen Desrocher are all gone. Goaltender Justin Nichols, who only dressed in nine games last season, ages out. 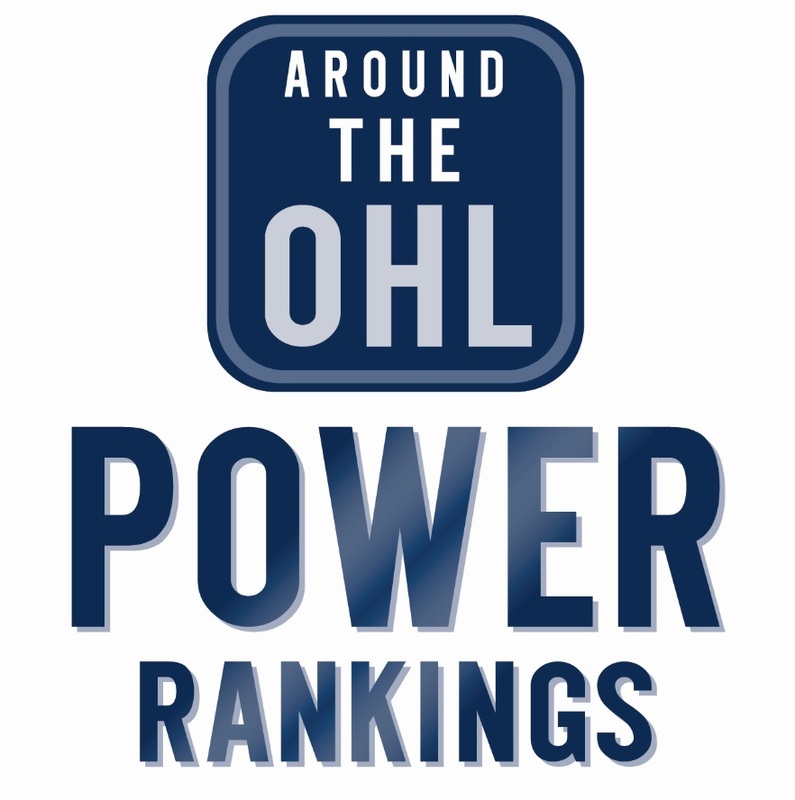 EXPECTATIONS: Given the fact they have so many solid, returning players, it’s safe to say Oshawa will improve on last year’s eight place conference finish, but how much? That’s going to depend on how consistent the goals can come. That said, Brodeur in the net will give them a chance to win plenty of tight games as well. WHAT WE KNOW: The Hamilton Bulldogs had a rough go in 2015/16, but perhaps that was to be expected, with the move to a new city. The Bulldogs had five 40+ point getters, with Matt Strome on the cusp and have shown flashes of what they’re capable at times. With a new GM and head coach at the helm, the growing pains should have passed and the dogs should make a marked improvement this year. WHAT WE DON’T KNOW: Can the now-veteran core of guys drafted while the team was in Belleville really break out and help this team make a charge? Hamilton’s top four scorers, all who spent time playing in the Friendly City before moing to Steeltown, had career seasons in 2015/16. They’ll have to improve on those numbers even more this year. We also don’t know how Connor Hicks will respond to taking over the starting role and likely being tested by Kaden Fulcher and Cole Ceci behind him. PLAYERS TO WATCH: The top four scorers from last season will top this list. Matt Luff, Nikki Petti, Mike Cramarossa and Trent Fox, who cracked the 50 point plateau in his first full OHL season. Look for Matthew Strome to do better than last year’s 38 points as well, adding to that now-veteran punch up front. WHO’S GONE: A number of players were moved during trades last year including Stephen Harper, Mason Marchment, Maurizio Colella, Jake Bricknell and longtime Belleville/Hamilton netminder Charlie Graham. Jack Hidi, who came to Hamilton in a trade form London, is among the players graduating due to age. EXPECTATIONS: Given where the dogs finished last season, they’ll be expecting to at minimum make the playoffs. However, they could even creep into the top four and steal home ice advantage, if they get strong performances from their returning veterans. Expect it to be a bit of an adventure in goal though, as they lose a wealth of experience this year.